Help students build proficiency test math skills with these science-based math activities! 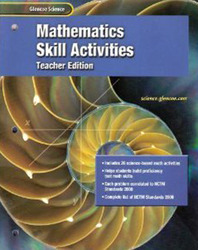 Correlated to the NCTM Standards 2000, they encourage students to understand the relationship between math and science. This Teacher Edition includes all of the answers.